There’s something you should know about me. I’m not a bandwagon kind of guy. Other than a brief and scarring few years in the ’80s, I’ve never been one to jump at the latest fad. And even in that decade of turned up collars and horrible music, I refused to wear parachute pants or sign a petition vilifying Scorsese for The Last Temptation of Christ. So the fact that everyone these days seems to be eating, writing about, and developing recipes for quinoa has done nothing to make me want to add it to my diet. If anything, people’s adulation for this supposed uber-grain has turned me off to the idea of even trying it. 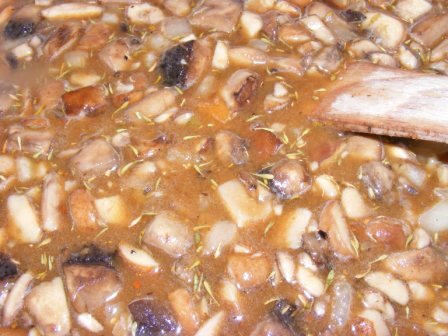 So I wasn’t all that thrilled with this pick as the first French Fridays with Dorie recipe for April. I even thought about skipping it. But in the end, I decided to try it, if for no other reason than I thought the fruit, nuts, seeds, and vinaigrette might be a nice combination for a couscous salad. 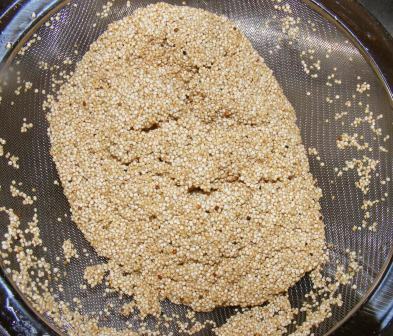 I started by rinsing the quinoa, then cooking it in water to soften and expand the grains. While the quinoa was cooking, I cut up some beautiful dried fruit that I got at the West Side Market in Cleveland. 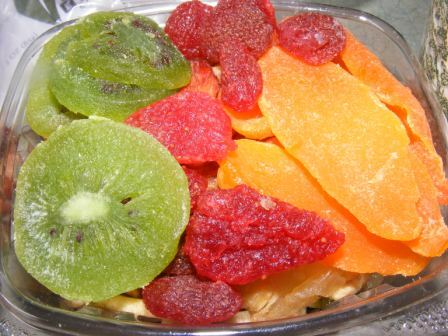 The mix contained kiwi, strawberry, mango, cantaloupe, papaya, starfruit, apple, craisins, pineapple, apricot, and several other fruits. I mixed the chopped fruit with pumpkin and sesame seeds, almonds, walnuts, and chopped parsley, stirred in the cooked and drained quinoa, then tossed the whole thing with an olive oil and lemon vinaigrette. 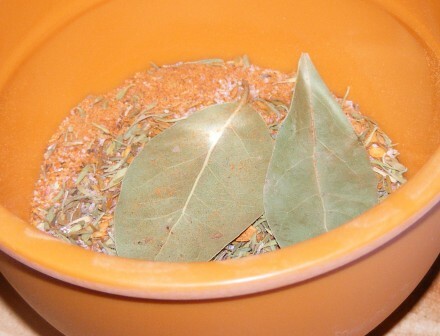 I had a picture of the finished product, but I somehow managed to delete it without first uploading it to my computer. You’ll have to trust me when I say it looked really appetizing. And as for the taste, well, what can I say? Sometimes skepticism can be misplaced. I don’t know that I would eat quinoa plain like some people I know, but I could enjoy it with fruit, nuts, seed, and herbs anytime. 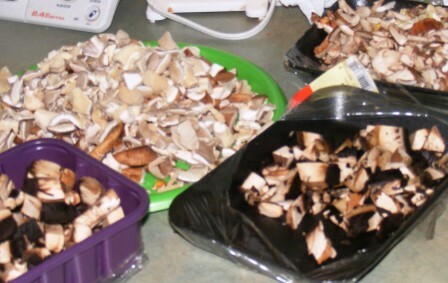 It was best fresh, but even the next day, it was tasty and not all one big bowl of mush. 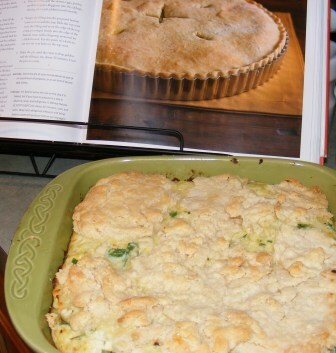 Flush from my success with curried fish pie, it was time for the next Modern Baker Challenge recipe — cabbage pie. The Savoy cabbage for this recipe had been in the refrigerator for a few weeks, so I knew I had to make it soon. I decided to change this one up just a bit. Rather than making a typical double-crust pie, I thought I’d use my new Celtic baker from King Arthur Flour and make it more like a pot pie. After blanching and shredding the cabbage, I sautéed onion and garlic in olive oil, then added the cabbage and cooked it down. I scraped the vegetables into a bowl and seasoned them with salt and pepper. I stirred in ricotta, parsley, eggs, and Parmigiano-Reggiano, then poured the mixture into the casserole dish. I topped the pie with rolled out pieces of crust, then baked it at 375°F for about 30 minutes. 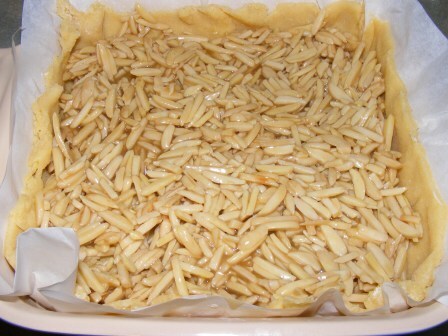 The filling set up nicely and the crust was lightly browned and flaky. 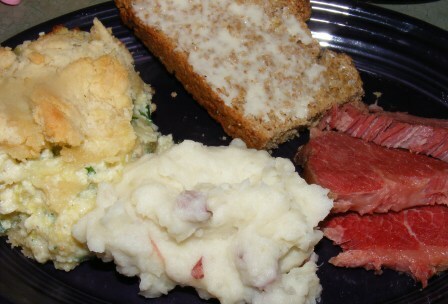 Although this dish would make a nice appetizer or light dinner, I served it as part of our St. Patrick’s Day meal, alongside corned beef, mashed redskin potatoes, and Irish brown bread. The cabbage pie was well-seasoned and made a nice accompaniment to the rest of the meal. I’m not sure I’ll make this dish again, but we did enjoy it as a change from our normal steamed cabbage or Colocannon. This week’s French Fridays with Dorie recipe looks and sounds like just the sort of haute cuisine you’d expect in a French cookbook. But in fact it’s surprisingly simple and straightforward. Like the semolina cake, this recipe starts with a simple caramel syrup. 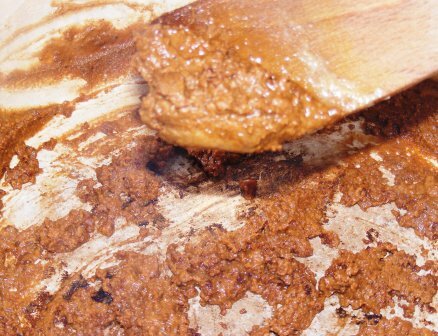 And like the cake, you have to be really careful not to burn the sugar when making the caramel sauce. 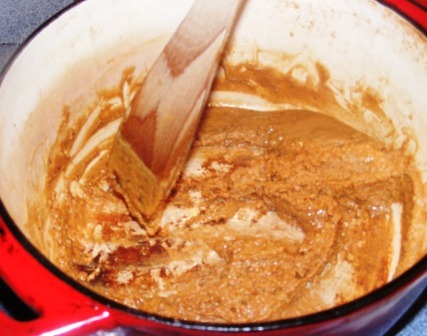 Two tablespoons of sugar isn’t a lot, and once it starts to liquefy, it can quickly go from melted to burnt. So I had my wine and orange standing by, and added them as soon as the sugar was melted and well-colored. 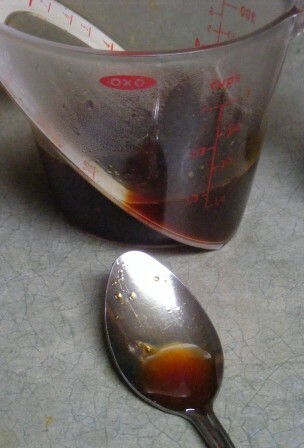 I cooked the mixture down until it was a deep amber and had reduced by about half. 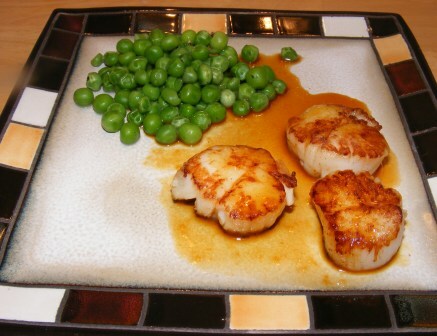 I set the caramel sauce aside while I made the scallops. This part of the recipe surprised me. I rarely cook seafood at home, and I always think that it is an involved process. In this case, the scallops couldn’t have been quicker or easier. After heating olive oil in a pan, I added the scallops, seasoned them with salt and white pepper, and cooked them for two minutes on each side. 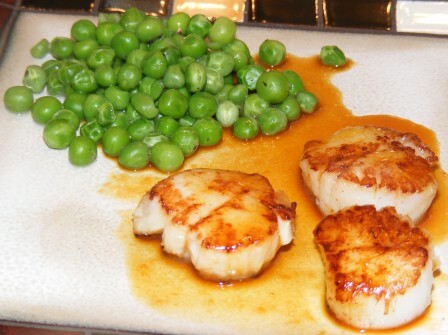 I plated the scallops with the warm caramel sauce and some peas for a simple, yet elegant dinner. This was another wonderful dish from Around My French Table. It wasn’t as sweet as I expected, and unlike Dorie, I found the scallops — rather than the caramel — to be the star. I probably wouldn’t have chosen this recipe on my own, but I’m glad I tried it. I’m not sure I’ll make it again, but if nothing else, it reminded me of how easy and delicious scallops can be. One of the reasons I decided to undertake the Modern Baker Challenge was to improve my pastry dough making skills. Before I started working my way through Nick Malgieri‘s book, I never made my own crusts. 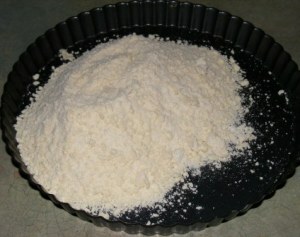 If I was baking a pie or quiche, I bought a pre-made crust. In fact, I kept several crusts in my freezer at all times. 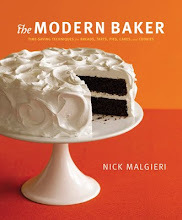 Having baked out of Nick’s book for a year now, I no longer shy away from recipes that call for homemade pastry crust. 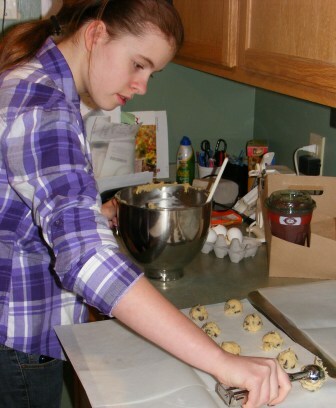 In fact, although my pastry skills still aren’t perfect, I have a lot more successes than failures. 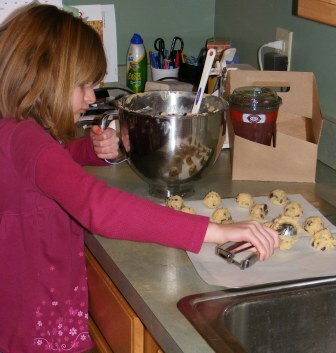 Because of my recent successes with rolling my own pastry dough, I’ve only used Nick’s no-roll recipe one time (unlike Andrea, who uses it every chance she gets). 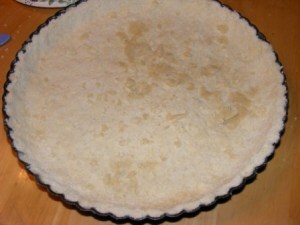 But I can attest that it is an easy and nearly foolproof way of making a pastry crust. 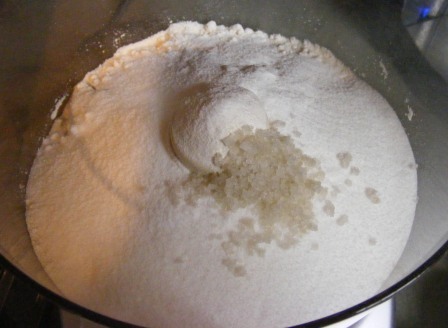 You start by mixing the dry ingredients in the food processor, then adding water and pulsing until the mixture resembles crumb topping. 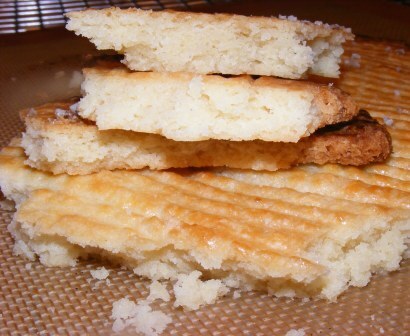 Then you dump the pastry into a pan and press it in place. And that’s all there is to it. 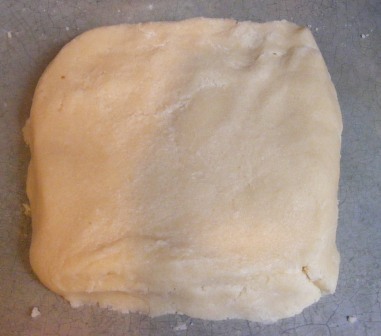 This dough isn’t quite as tender and flaky as Nick’s rich pastry dough, but it’s better than most pastry doughs I’ve had, and I wouldn’t hesitate to use it for a pie or tart. If you’ve long feared rolling your own pastry dough, give this one a try. 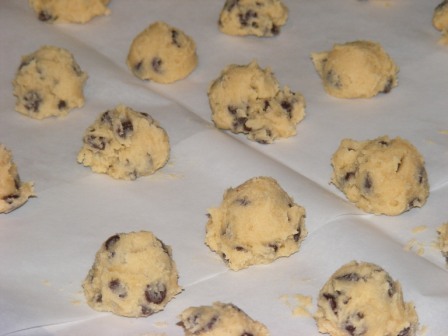 You’ll be surprised as how easy and delicious making your own dough can be. I’m not sure why the idea of fish pie seems so odd to the American chef. Perhaps because we tend to think of pies as sweet rather than savory. Or maybe it’s that we just don’t cook with fish that often and when we do we make the same recipe we’ve always used for that particular kind of fish. Whatever the reason, most of the participants in the Modern Baker Challenge seemed put off by this recipe. In fact, as I write this, I think I’m the only one who has made this dish. And to be honest, but for the Challenge I doubt I’d have made it, either. Since I’m the only one in my family who eats fish, I cut the dish down by 2/3 and made two smaller pies instead of one large one. This pie uses the rich pie dough, which I had made ahead of time and frozen in disposable pie pans. 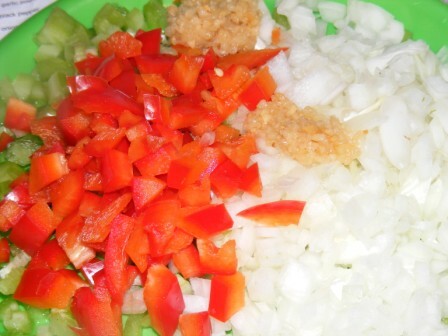 I began by sautéing onions and garlic in olive oil until they were soft and starting to color. 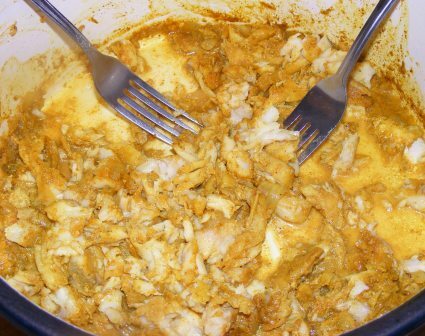 I added the fish, lots of spices, and some milk, and simmered gently until the fish was cooked through. Then I shredded the fish with two forks. 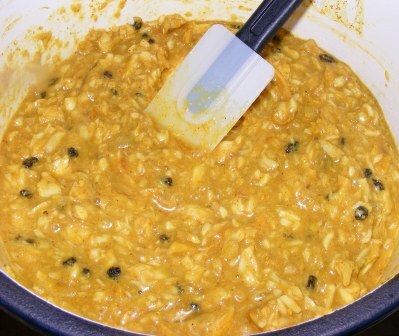 I added the rest of the ingredients, which consisted of sugar, vinegar, mango chutney, golden raisins, almonds, and fresh bread crumbs softened in milk. After mixing everything together and tasting for seasoning, I stirred in the eggs then poured the filling into the prepared shells. I baked the pies at 375°F for about 30 minutes. 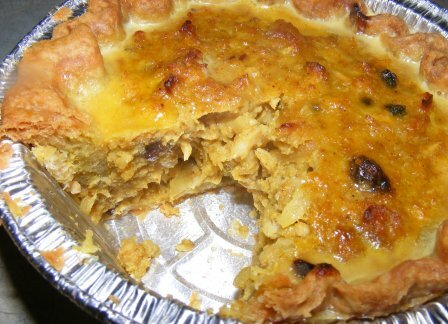 When the crust was baked through and the filling set, I topped the pies with custard and returned them to the oven for another 10 minutes. 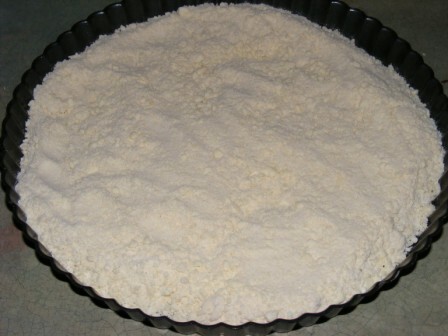 The recipe says to serve the pie at room temperature, but I wasn’t sure about that, so I tried it fresh from the oven. It shouldn’t have surprised me to find that this pie was delicious. The curry and chutney flavors really came through, and it was not the least bit fishy. It was sweet, tangy, savory, and slightly acidic (in a good way) all at the same time. 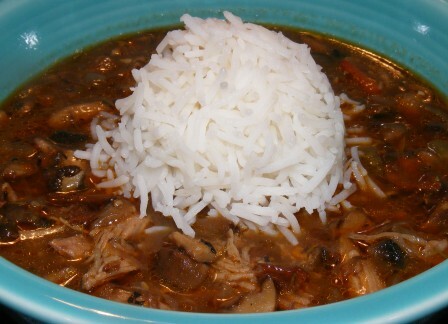 In fact, I think this was the most subtle and complexly flavored dish that I’ve made from this section of the book. 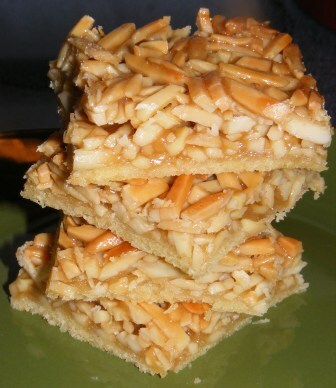 It’s a shame that so many of the Challenge participants shied away from this recipe. If people had been able to get past their initial reactions and try this dish, I think they would have liked it. I’d like to have all the Modern Bakers over and serve them this pie, as I’m sure there would be many converts. The linguistic derivation of this dish is more complex than the dish itself, so bear with me. The French word for “beggar” is mendiant, which is derived from the Latin mendicans, from which the word “mendicant” also comes. Now, mendicant also means “begging”, but more commonly refers to religious orders who, like Blanche Dubois, rely on the kindness of strangers, which is to say, they takes vows of poverty and rely exclusively on charity for their survival. Have I lost you yet? Hang in there. Many religions have mendicant orders, but perhaps the best known (at least in the West) are the Catholic Franciscans, Dominicans, Augustinians, and Carmelites. OK, so back to France, where the word mendiant has come to refer to a chocolate confection studded with dried fruit and nuts and flavored with orange peel. The fruits and nuts are meant to represent the mendicant orders: dried figs for the Franciscans; raisins for the Dominicans; hazelnuts for the Augustinians (think frangelico); and almonds for the Carmelites. So, there you have it. Mendiant (or beggar’s) chocolate is filled with fruit and nuts. And so is beggar’s (or mendiant, or mendicant) linguine. 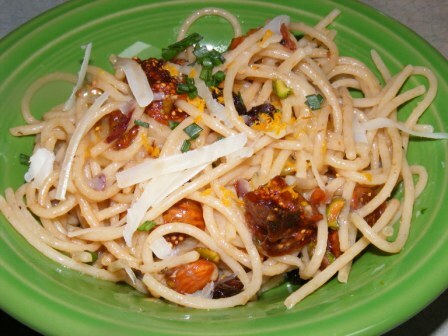 Specifically, this dish has pistachios, almonds, figs, and raisins, along with orange zest, Parmesan, and chives. It may sound complicated, especially if you try to follow the lineage of the name. But it’s really a simple dish. 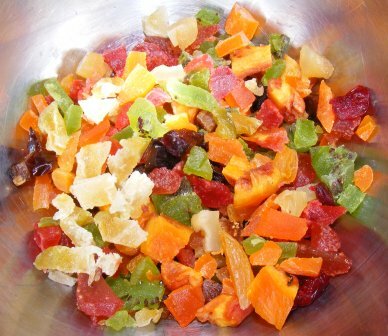 Boil linguine, brown some butter with the fruit and nuts, stir in the pasta, and season with salt, pepper, orange zest, and cheese. Toss it all together, put it in bowls, and top with some chives. You can gather and prep all your ingredients while waiting for the pasta water to boil. 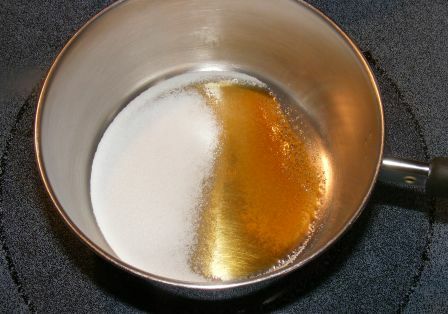 And if you brown the butter while the pasta is cooking, you’ll have the dish on the table in less than 20 minutes from start to finish. This dish was a complete surprise. I couldn’t believe how well all the ingredients melded. It seems like an odd combination of ingredients, better suited to candies than a main dish for dinner, but it all worked beautifully. 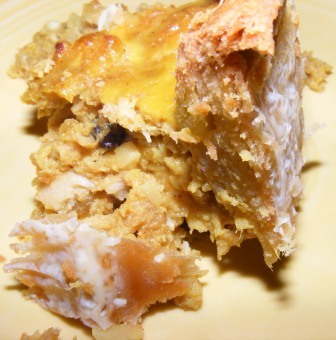 It was savory, with just a hint of sweetness from the orange zest, figs and raisins. 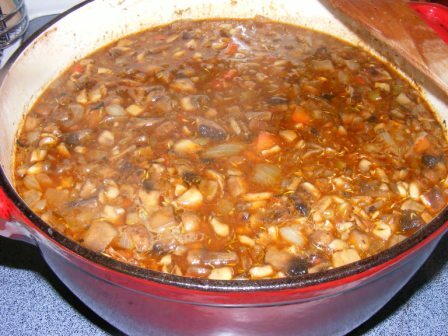 The whole family loved it, and we decided it would be a great dish keep in mind for a fast, satisfying dinner.